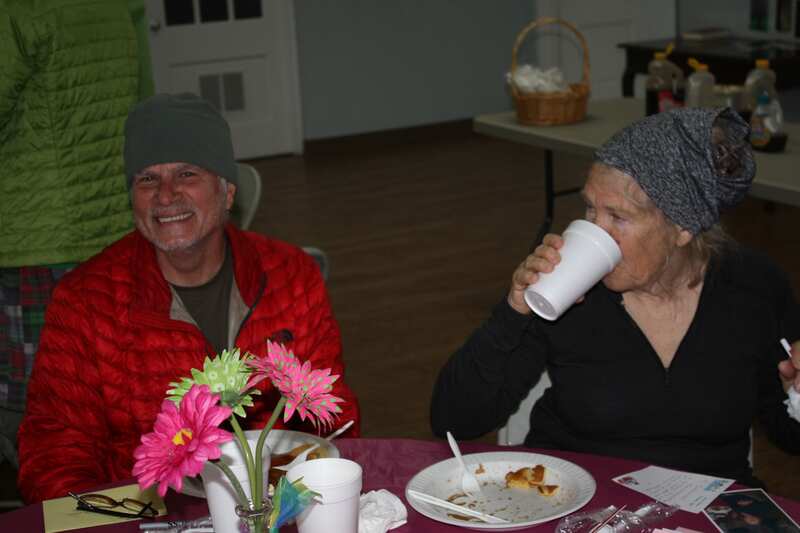 The smell of bacon and fresh coffee permeated the fellowship hall of First Baptist Church as church volunteers prepared the free breakfast offered to the group of Appalachian Trail Hikers gathered there. 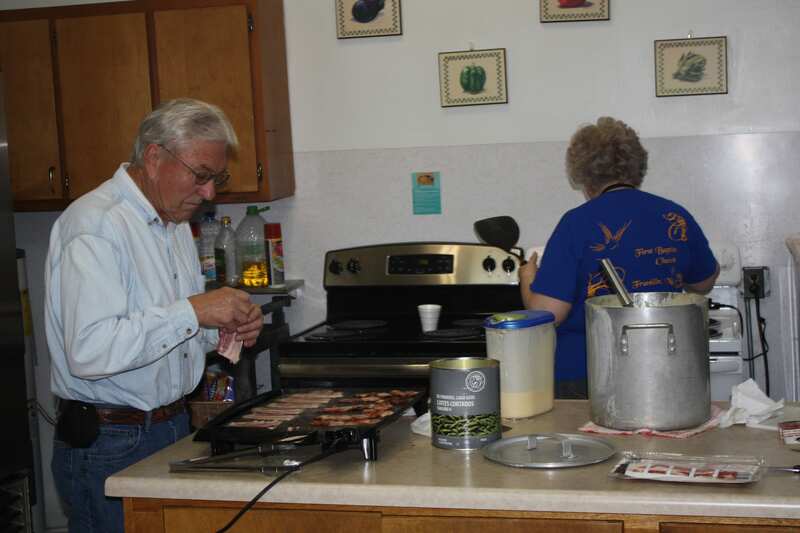 Not only was the kitchen busy, but the dining area bustled with activity as the hikers took advantage of the all-you-can-eat bacon and pancake feast before hitting the trail again. 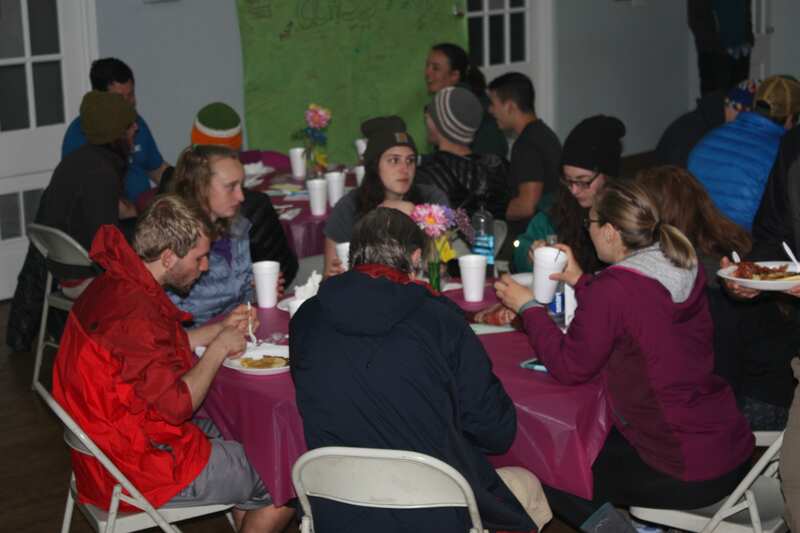 This is the tenth year First Baptist of Franklin has fed the hikers, offering both nourishment for the body and spiritual encouragement for the long trek still ahead of them. Franklin is the 109-mile marker of the 2,190 trip from Springer Mountain, Ga., to Mount Katahdin, Maine. Each morning, church vans pick up hikers at their hotels and transport them to the church. Then, after enjoying a morning filled with food and camaraderie they are returned to their lodging places. Patsy Parker, the day’s lady-in-charge, kept the meeting organized, explaining the process and events of the morning. She encouraged them to sign their names on the wall posters so the church could pray for them and the journey remaining before them. 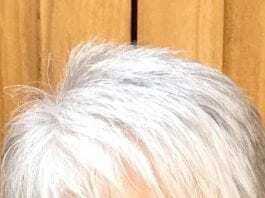 She was also responsible for the photography and letter writing. 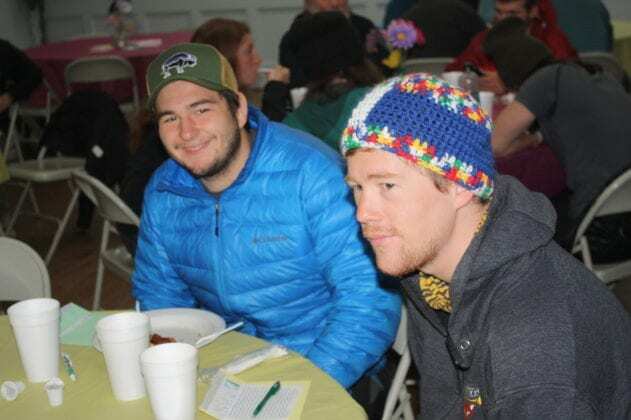 The hikers can have their picture taken and printed out during the breakfast. They are also given stationery to write friends or family. The church then pays to mail the letters for them ― anywhere in the world. 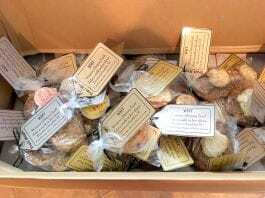 Parker said that this year the church has already fed about 600 hikers since from 38 states and 10 different countries, not quite half way through the season. Breakfast will be served this year until April 9. To put this into a bit better perspective, in 2015, 595 hikers were fed and last year (2016) 700 hikers filed through the breakfast line during the 30 day period. Before dispersing, the crowd sang a rather rousing hiker rendition of “Happy Birthday” to Taylor Meeks from Ottumwa, Iowa (Ottumwa is a Native American word meaning Rippling Waters). She and her father left Springer Mountain on March 12. 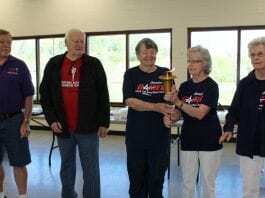 Their goal is to reach Mount Katahdin by Oct. 1. 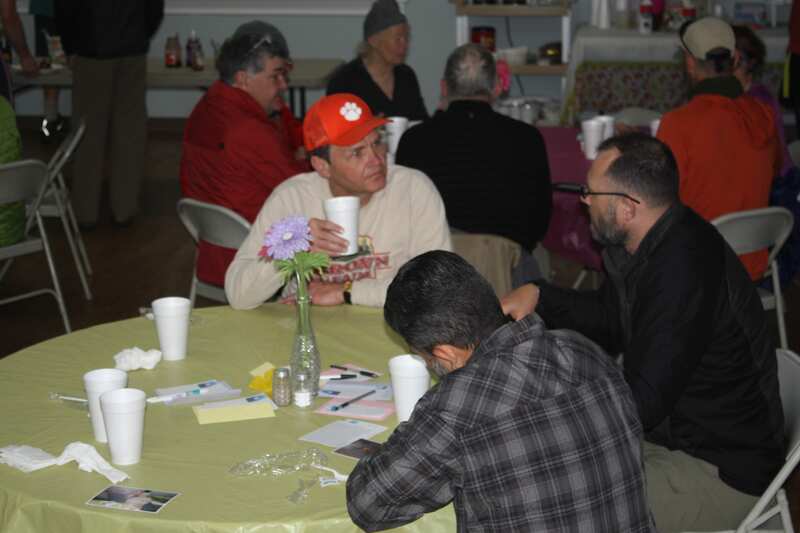 The breakfast hosted by First Baptist is just one of the many services and events businesses and organizations in Franklin host each year for hikers. From March 20 to April 22, there are events sprinkled throughout Macon County to welcome hikers to town. Last Saturday, Lazy Hiker Brewing Co. and Nantahala Hiking Club partnered together for the annual free chip-dog lunch for thru-hikers. 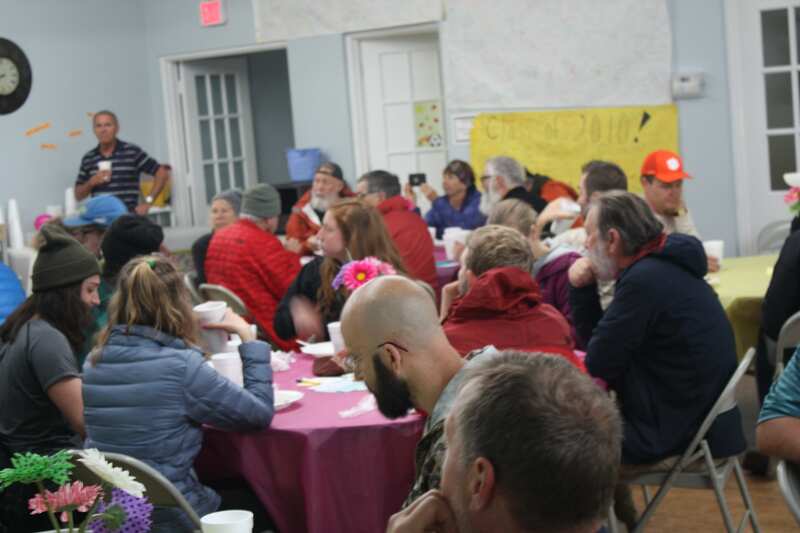 The lunch drew hundreds of hikers for lunch, fellowship, and getting to know more about Franklin. On Saturday, April 8, the Gooder Grove will be hosting a hiker cookout, on April 15 Appalachian Trail hikers will be able to enjoy Easter on the trail with eggs planted along the route by the Nantahala Hiking Club. Currahee Brewing Co. is hosting a Hiker Bask on April 15, with an AT Celebration at Lazy Hiking Brewing Co. on April 22. Franklin’s Appalachian Trail Community Council works to promote Franklin as a hiking destination and to help facility the different events throughout April for thru-hikers. Good luck, safe hiking and God be with you on the trail.